There are no comments for Bassist. Click here to post the first comment. 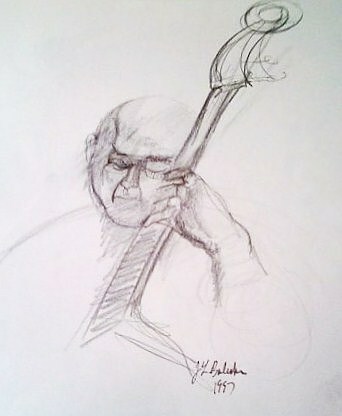 This is one of my Jazz musician sketches. I ususally draw the band members while they are soloing so the drawings are somewhat sketchy. This was done in 1997 while I listend to Jazz at a coffee shop. This is also part of my sketchbook.